The first thing you need to do is to set some options. First, click the Options button. Now select the General Tab. 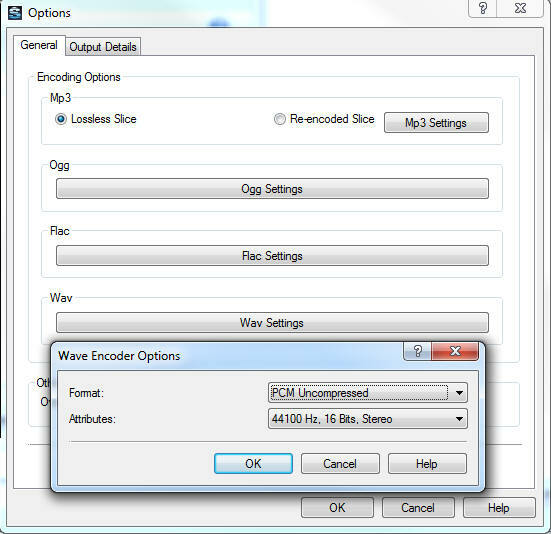 Click the Wav Setting button at the bottom so that the output will be Second Life Compatible. Note: If you use MP3 files to start, you get MP3 files as an output. 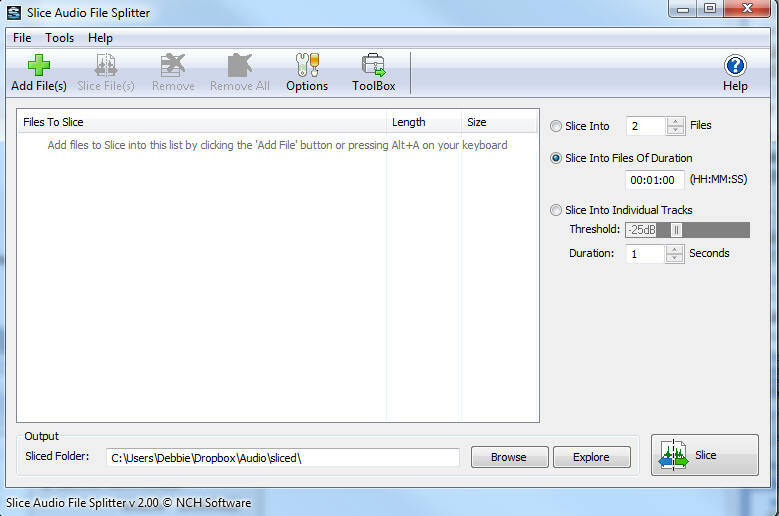 Before you convert MP3 files, you should save yourself a lot of work by converting MP3 to Wav files first. I set up output details so the files would all have a unique number at the end. They will then sort correctly in Second Life and play in the correct order. Second Life will sort them alphabetically. Now set the time to 00:00::10. 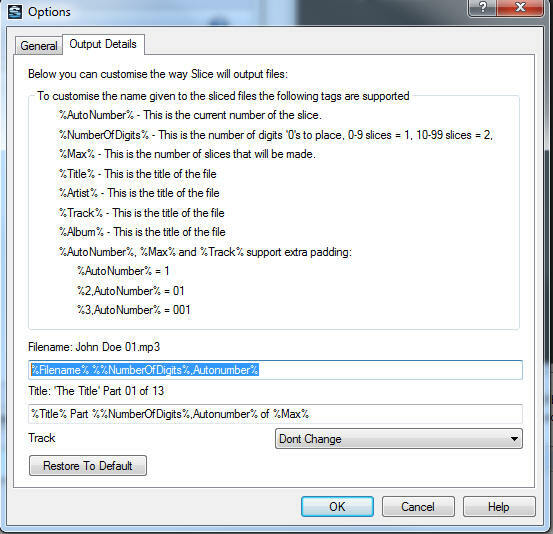 The scripts require 10 second wav files. 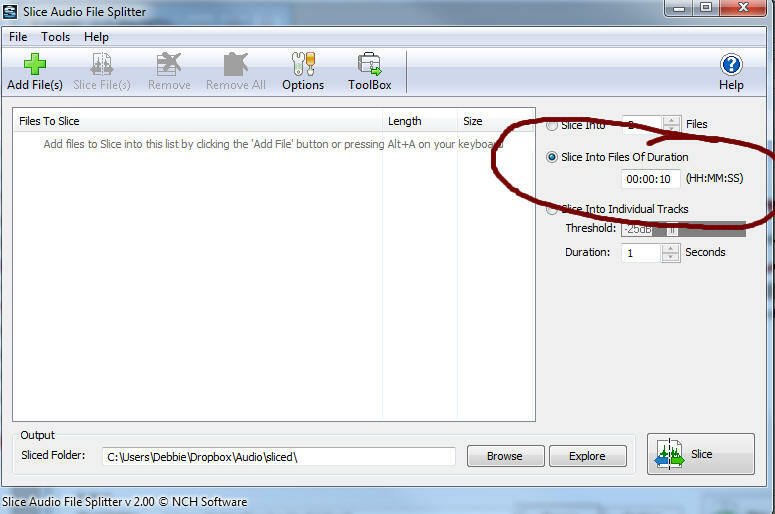 Then you click SLICE and you are ready to upload your 10 second clips!